Good afternoon all my family, friends, and followers. I hope everyone is busy writing your "Great American Novel." I've quoted Dean Koontz on my blog several times, and thinking you, or I, can ever think of writing the "great American novel," is absurd, but I'm sure some writers are pompus to think they can do it. Think of some of the great novels you've read. They are worth trying to emulate, but don't beat yourself up if you come up short. Just be glad you can write something people will like to read. "The average reader demands eight things of a novel: 1) a strong plot; 2) a great deal of action; 3) a hero or a heroine or both; 4) colorful, imaginative, and convincing characterizations; 5) clear, believable motivations; 6) well-drawn backgrounds; 7) at least some familiarity with the rules of English grammar and syntax - the more familiarity the better, of course, and 8) a style which embodies at least a trace of lyrical language and as many striking images as possible, for good writing is always vivid and visual." Let's take a quick look at number 1. a strong plot. I've talked about this several times now. A strong plot is essential if you want to have readers. It begins with (as I've said before) getting the main character in "terrible trouble" on page one, paragraph one. As he/she tries to overcome the terrible trouble, he/she gets deeper and deeper into trouble as the story develops. There can be side stories, other characters with plots of their own, but the main character's troubles have to be uppermost in the reader's mind, and must relate to the main story somehow. As the story progresses, with the MC getting deeper and deeper in trouble, it eventually must come to a head, or climax, where the MC overcomes his "terrible trouble." I've read some novels that, after the climax, go on and on for several chapters. That's when I put the novel down and forget it. After the climax, the denoument, as it's called, can't be more than a chapter or two to resolve all the loose ends. So, until next week, as always, if you like this blog, please "Share" and "Like"it on Facebook , and "Retweet" it on Twitter. Then PLEASE, take five minutes to write a review and post it on Amazon. Also have you signed up for my email letters on my Blog Site? I would love to see you there and have you introduce yourself and give comments to this blog. And also keep in mind "Bridgetown High" is still available on Amazon, Goodreads and Barnes&Noble and several other places I can't remember. 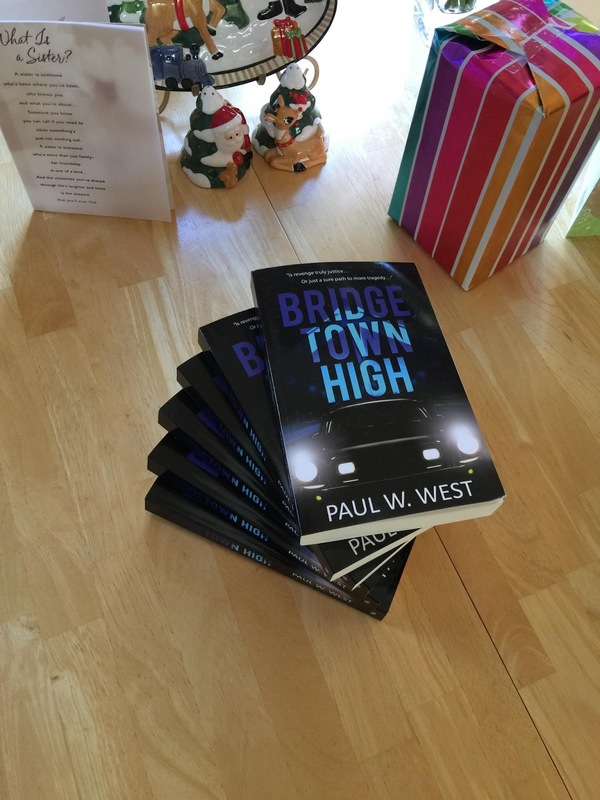 You can read some GREAT reviews of Bridgetown High on Amazon and Goodreads in case you need more info about Bridgetown High.